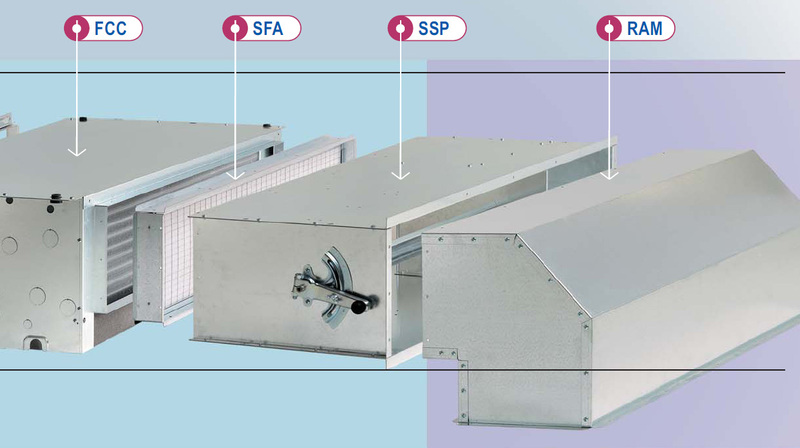 vailable in 2 installation versions and 7 sizes, for 2 and 4 pipe systems. The units main structure is made in galvanized metal sheet while coils of copper pipe expanded into aluminium fins ( 3,4,5 and 6 rows). 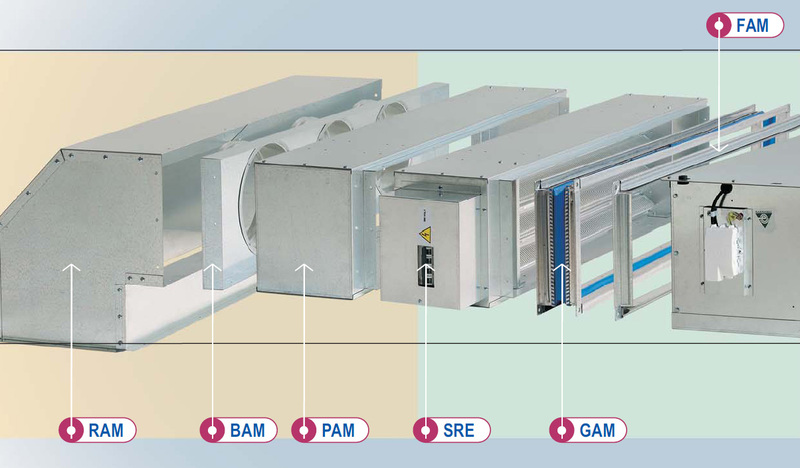 It is perfectly meet any application request where centralized units are requested (from 700 to 10.000 m3/h); the serveral ducting possibilities allow the heating and cooling of different environments: private residences, offices, shops.